The word "massive" is rarely used to describe a New York City home, yet no better word describes this full-floor, sky-lit 2-bedroom, 1.5-bath loft in the heart of the Flatiron District. Upon entry you will be immediately struck by the spacious, bright and warm living space with towering 11-foot ceilings with exposed wooden joists. Light from three large south facing windows, combined with the skylights bounces off the hardwood floors and illuminates the entire living space and the adjacent open kitchen. 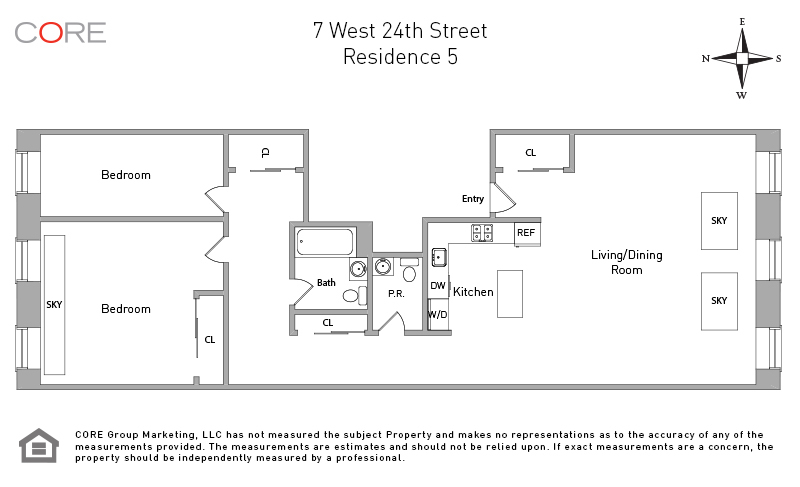 Along the connecting hallway you find both classically appointed baths, ample closet space and an in-unit washer/dryer. 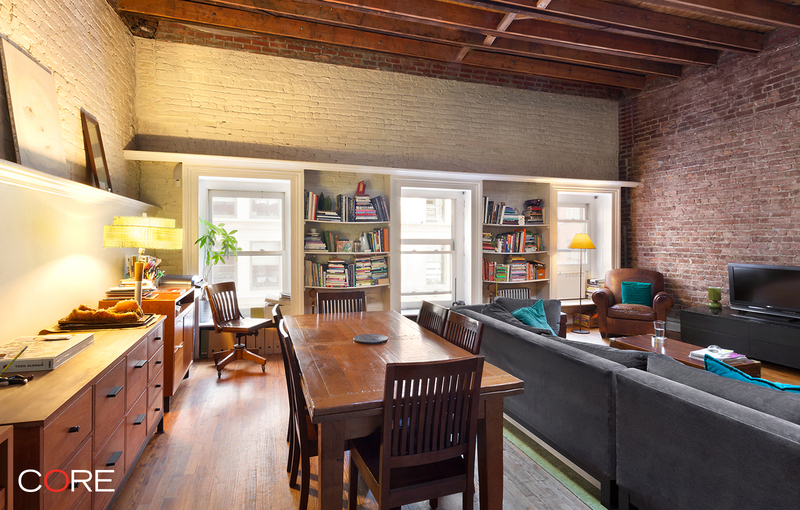 Two spacious bedrooms occupy the northern wing of the loft and boast exposed brick walls and another large skylight. This historic no-elevator building is located on West 24th Street, across from the famed Eataly market and within short distance of Madison Square Park, surrounding amenities and transportation, the building occupies a prime locale one of the most coveted New York City neighborhoods. This is a complete package of a home which we are excited to bring to market.